amanda mcclements & metrocurean: Free Doughnuts! And Coffee! Need some incentive to get you through work on Friday? 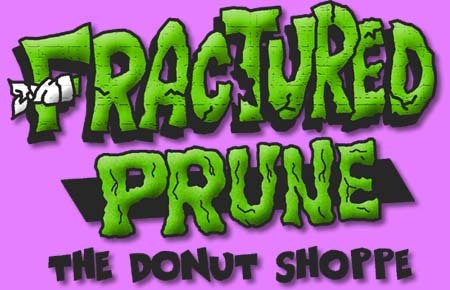 D.C.'s newest doughnut purveyor, Fractured Prune, will be giving away free coffee and doughnuts on Friday from 4 to 8 p.m. (There's also free Internet, but that part will stay free.) Saturday is the shop's official opening day with hours from 7 a.m. to 10 p.m. The Ocean City, Md.-based chain distinguishes itself from the competition with its made-to-order, custom doughnuts. Choose your glaze (like honey, banana, chocolate, maple, cherry and mocha), some toppings (rainbow sprinkles, coconut and Oreo cookie, to name a few) and, as if you didn't already have enough sweetness, your sugar, including powdered, granulated and cinnamon. The word is spreading...the word is spreading! I'll be there! They have free wi-fi too? Had I known this before I would've brought my laptop with me! Awesome! Though I suspect this will still be mostly an Ocean City-only treat for me. Last time I was there, I tried something new and it was good enough to go on my standing order list. I think of it as Mexican Chocolate -- a chocolate-glazed donut dipped in cinnamon sugar. Darn it I missed it what was the verdict? Are they any good? Yes, anonymous, they're really good. Hot and fresh out of the fryer. Doused with whatever topping(s) you desire. Sweet and finger-lickin' good. "Hot" would be a key word for me today.